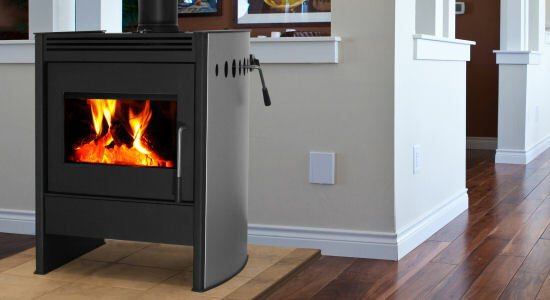 The Chinook 30 has a modern European design with curved sides that give the stove a softer, more elegant, appearance. As with our Sirocco 30 and Ashford 30, the Chinook 30 uses our cleanest burning firebox at 0.97gms/hour. The 2.75cu.ft. firebox is large and is capable of burning for up to 30 hours on low. The optional ash pan is mounted on an engineered runners for a smooth gliding action. Blaze King Industries have committed ourselves to leading the industry in developing pollution-reducing hearth products since 1977.